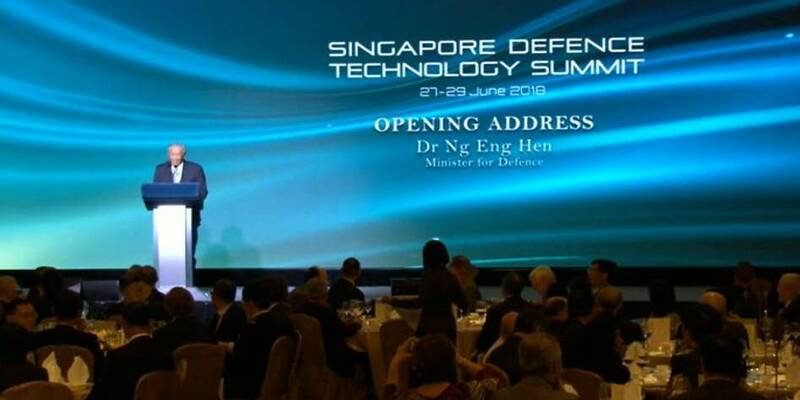 Singapore's Defence Science and Technology Agency (DSTA) and American aerospace giant Boeing signed the "first project agreement" to commence joint research and co-development activities in data analytics earlier at the inaugural Singapore Defence Technology Summit. The on-going summit is being organized by the DSTA under Singapore's Ministry of Defence (MINDEF) and will continue till June 29. Under the agreement, both the entities will jointly develop an information management tool leveraging data analytics to identify trends and insights on aircraft performance. The tool will analyze flight and maintenance data for the Republic of Singapore Air Force (RSAF)'s F-15 and AH-64 aircraft. The findings will also be used to develop algorithms for predictive analytics for smarter maintenance and operations. Stan Deal, President, and Chief Executive Officer, Boeing Global Services stated: "Boeing is proud of its partnership with DSTA to improve aircraft generation and reduce sustainment costs. As we broaden our demonstrated commercial digital portfolio and apply them to defense systems operations, many will benefit from data-driven solutions that will increase the overall effectiveness of operations." Also at the summit, the DSTA signed an agreement with Airbus to pool their engineering expertise to work in areas such as data analytics, augmented and virtual reality and 3-D printing, which will benefit the support functions of 6 A330 Multi-Role Tanker Transport (MRTT) and 16 H225M tactical transport helicopters, which RSAF has ordered in March 2014 and November 2016, respectively. According to DSTA, more than 400 delegates which include "Tech Gurus" and leaders from industry and government from 17 countries representing various defense procurement agencies from Asia and Europe are attending the summit at the Shangri-La Hotel.